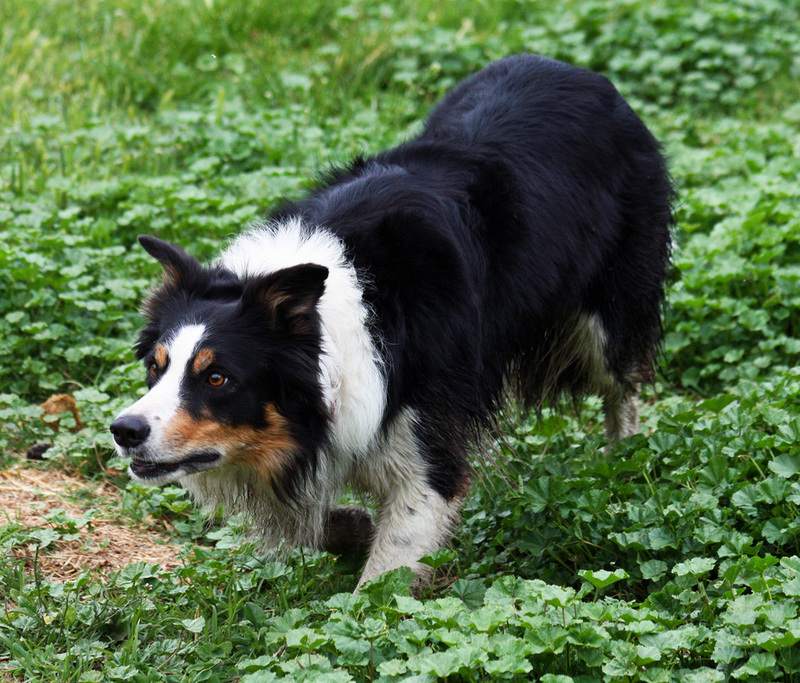 **NOTE** We no longer own Moss. 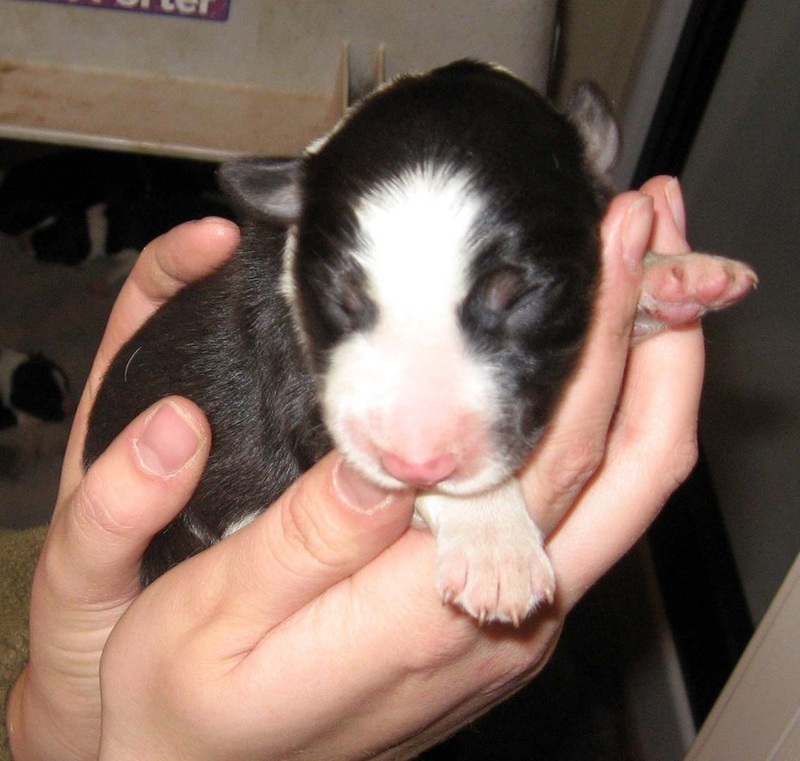 He is now owned by Erica Gordon of Walla Walla, WA and is currently competing with her in USBCHA trials. We wish them all the success and happiness in the world. 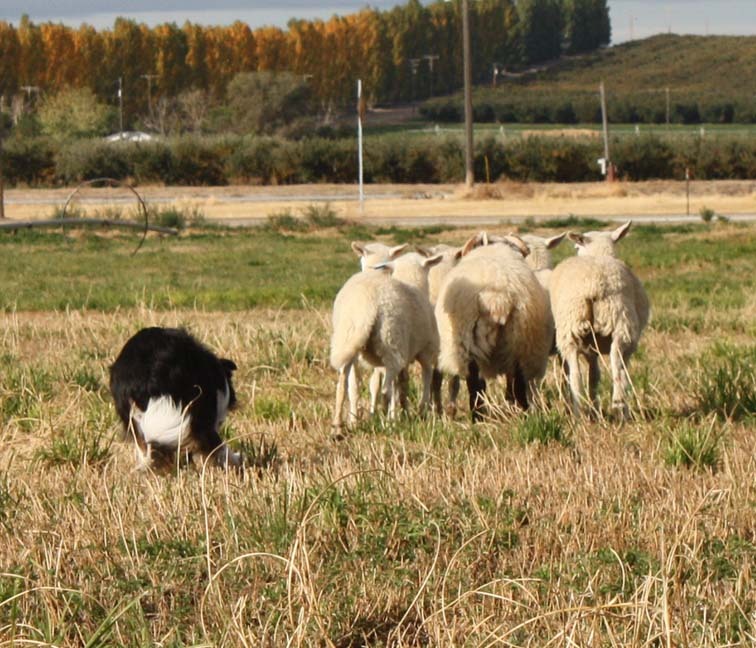 It was not an easy decision to place Moss. In fact, we never considered the idea until Erica asked if we might consider letting her have him. 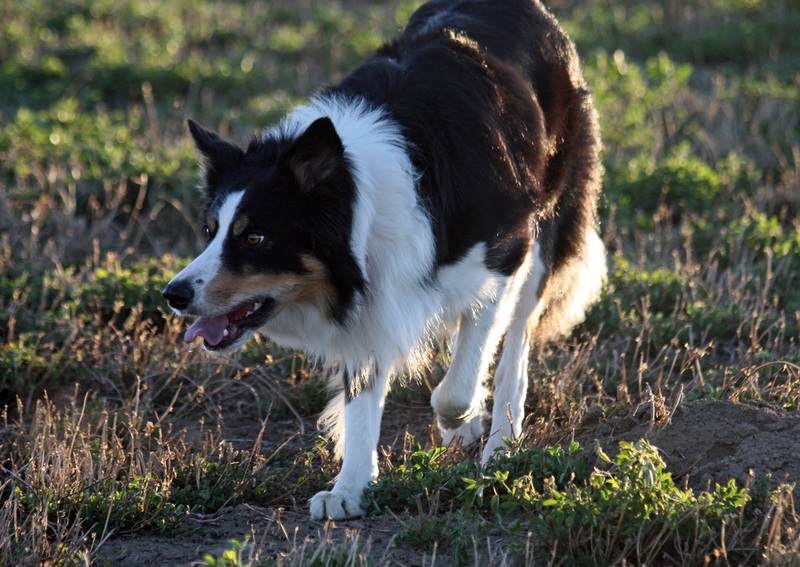 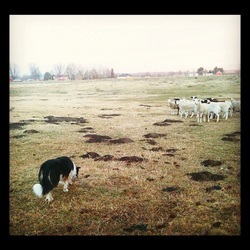 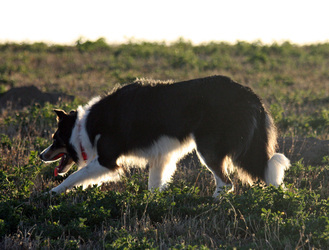 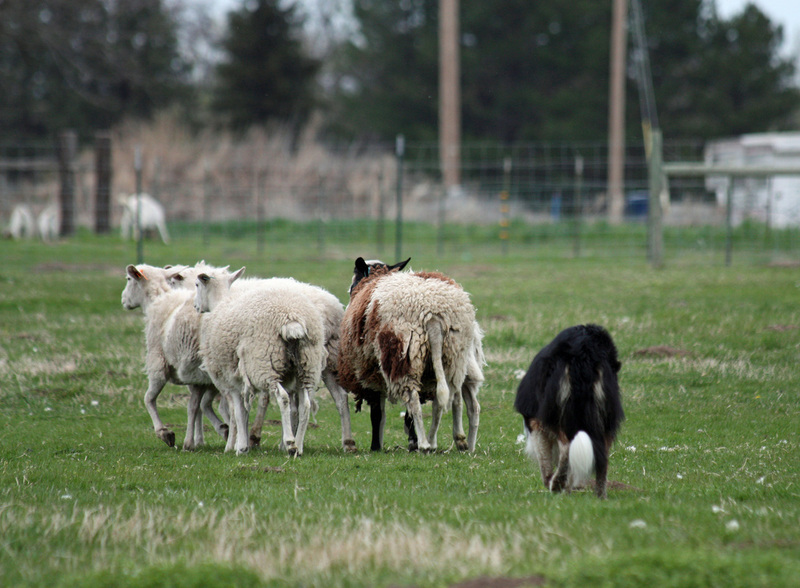 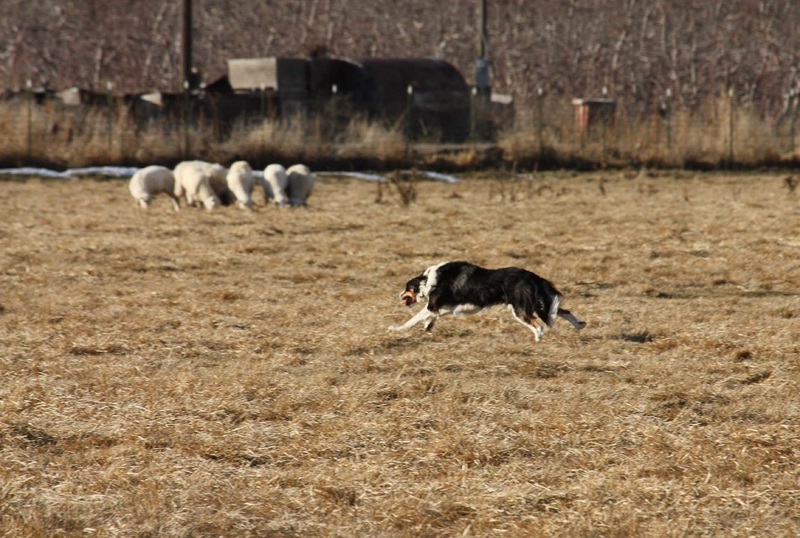 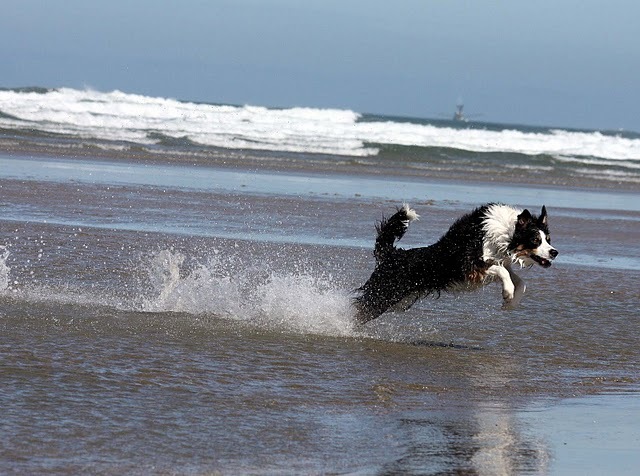 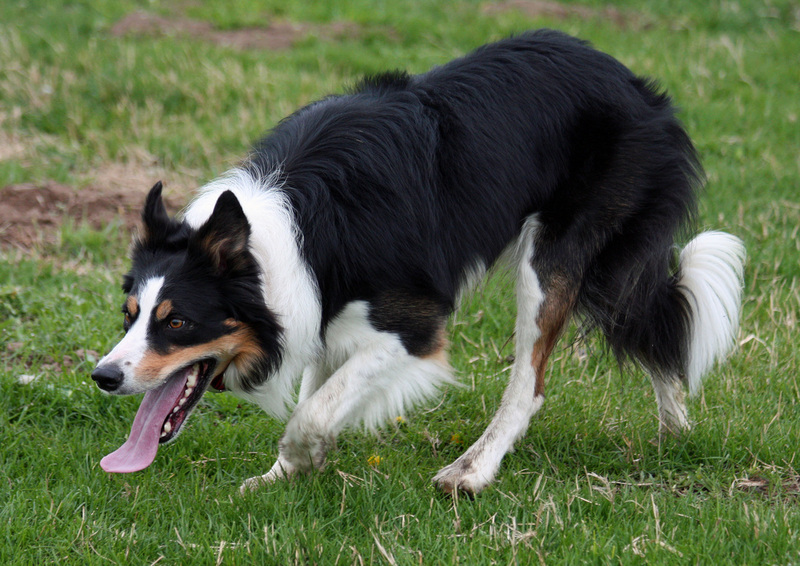 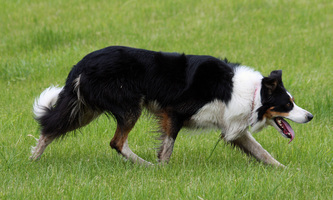 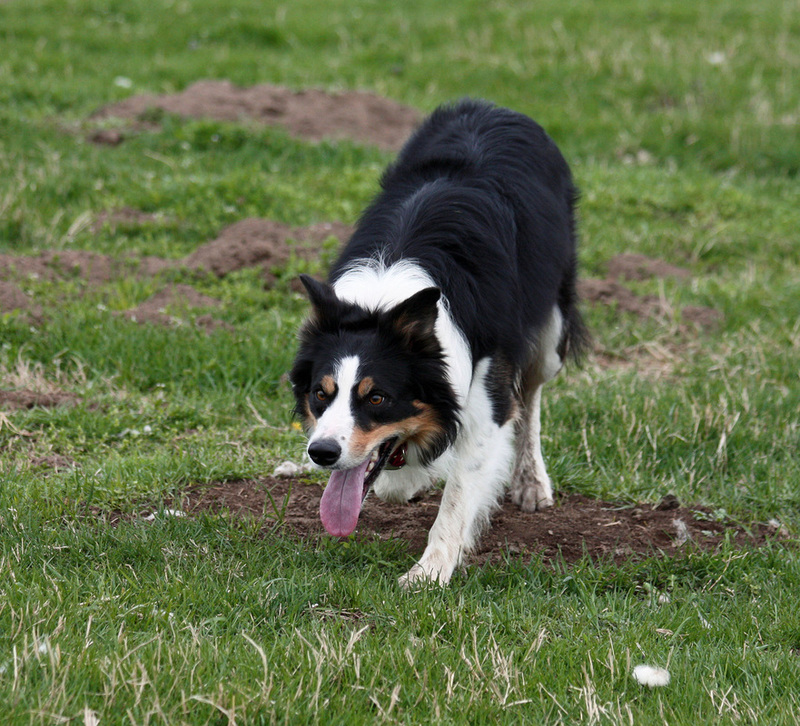 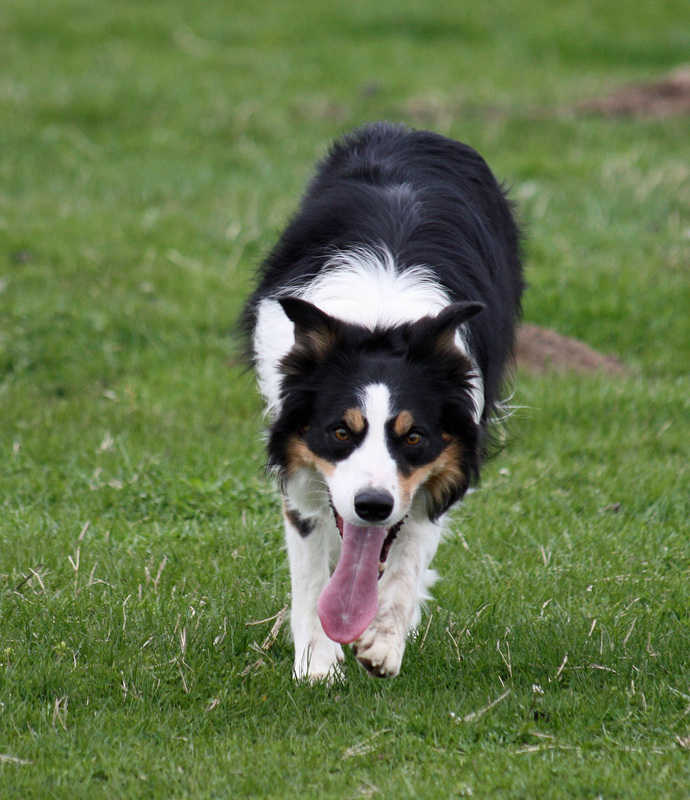 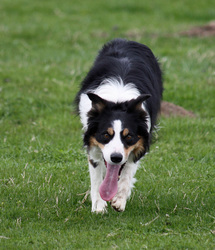 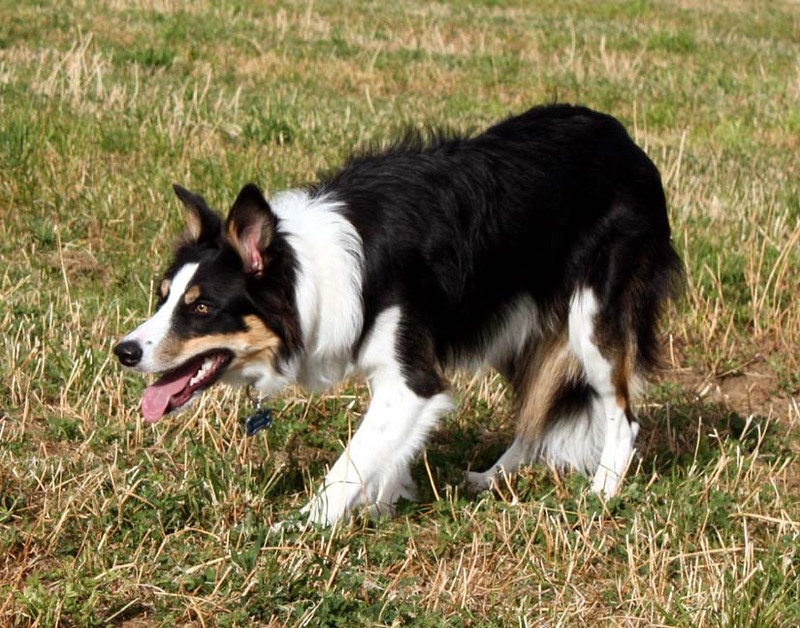 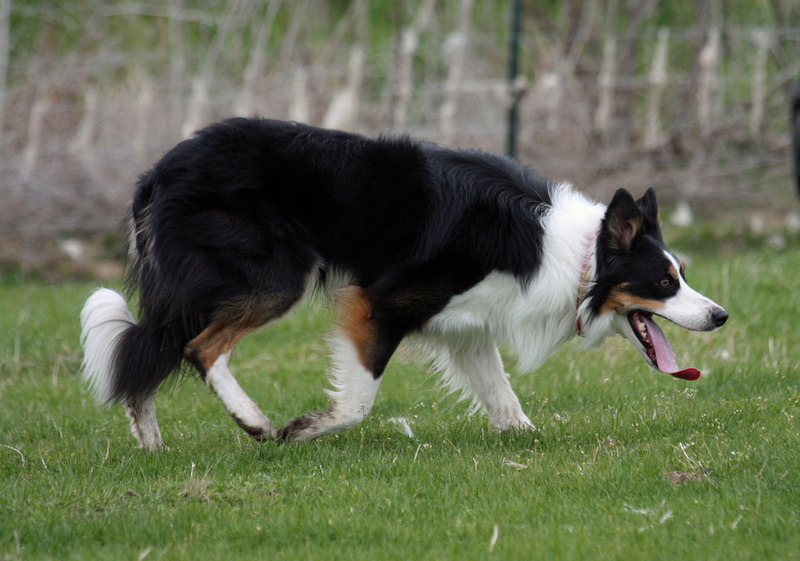 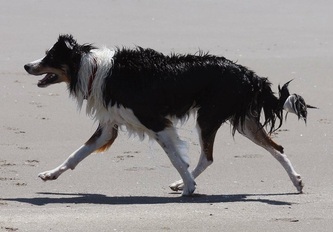 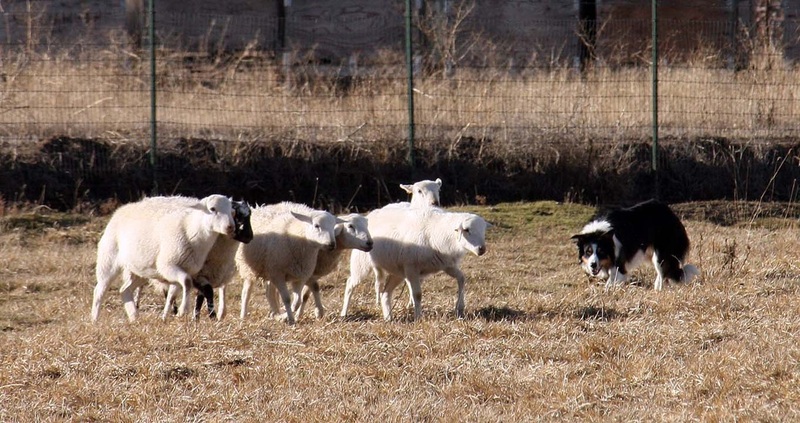 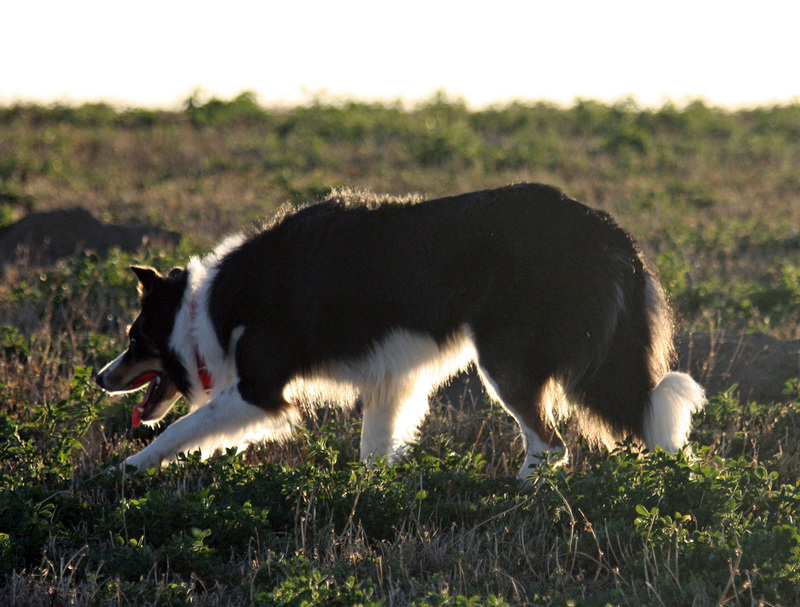 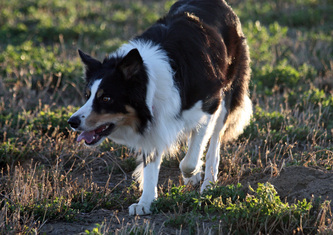 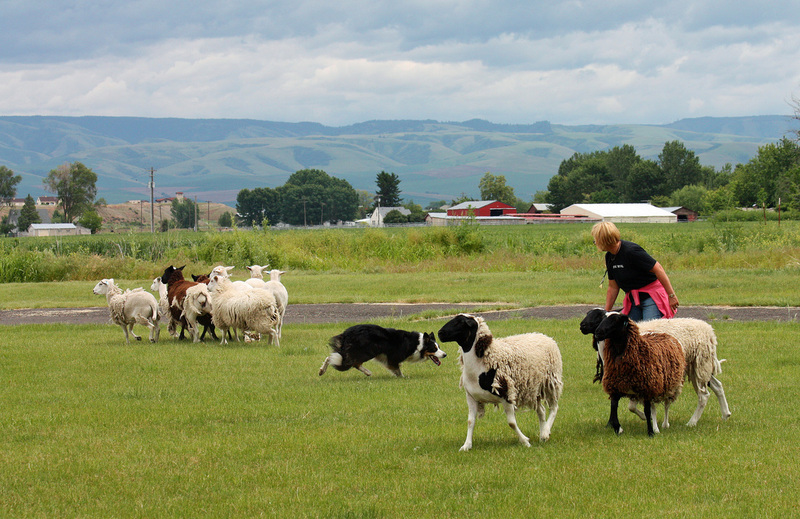 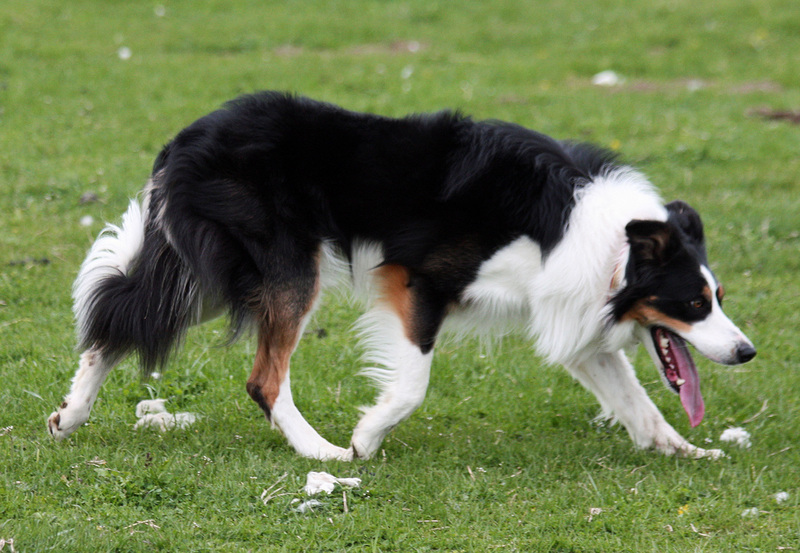 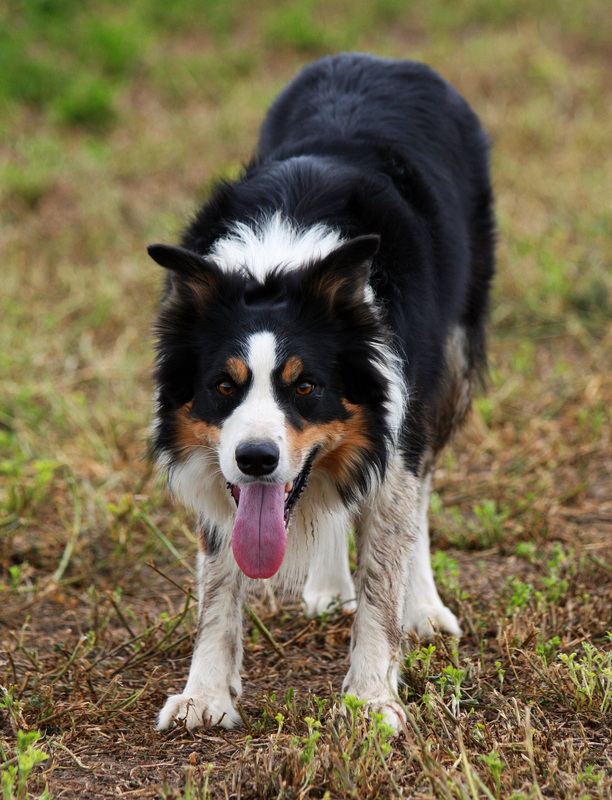 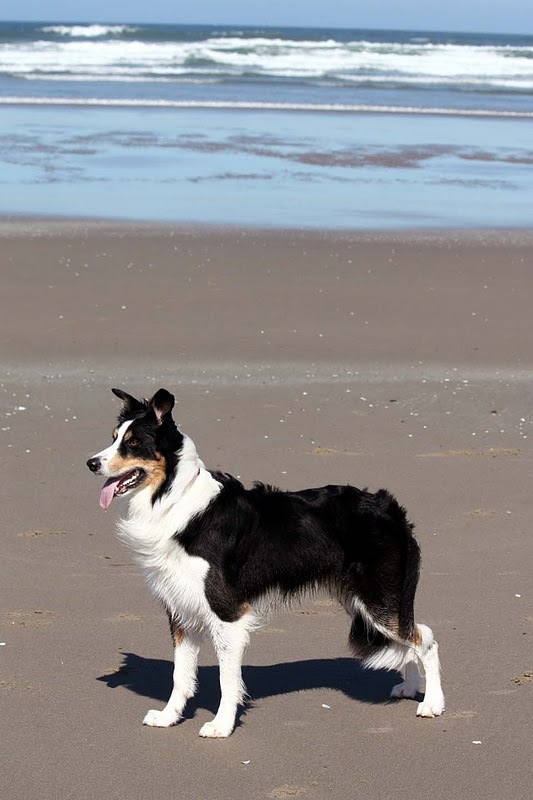 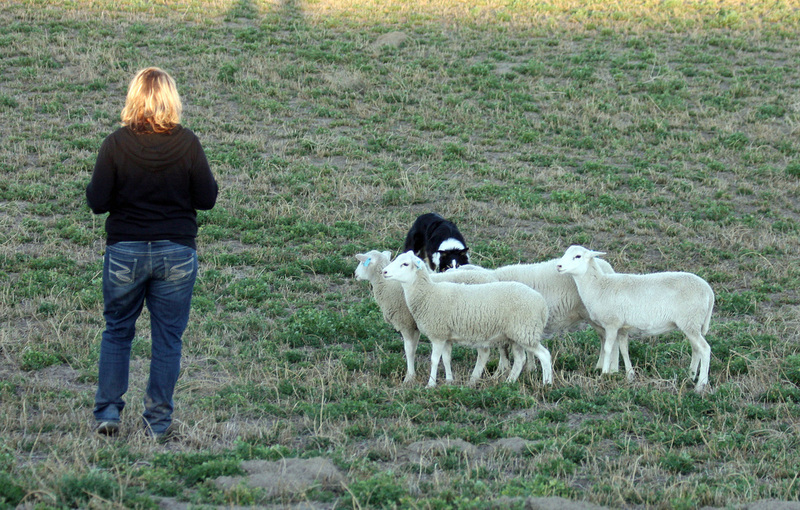 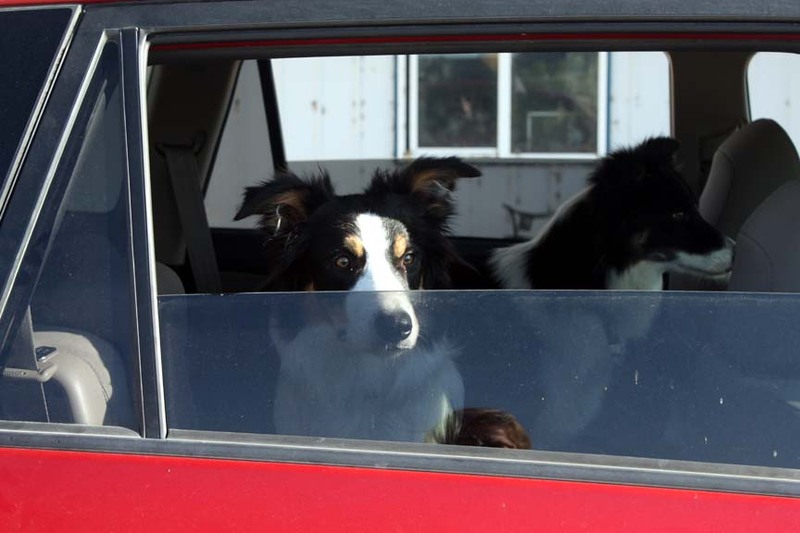 Because I've been focusing primarily on agility for the past several years, Moss and his herding training have been on the back burner. 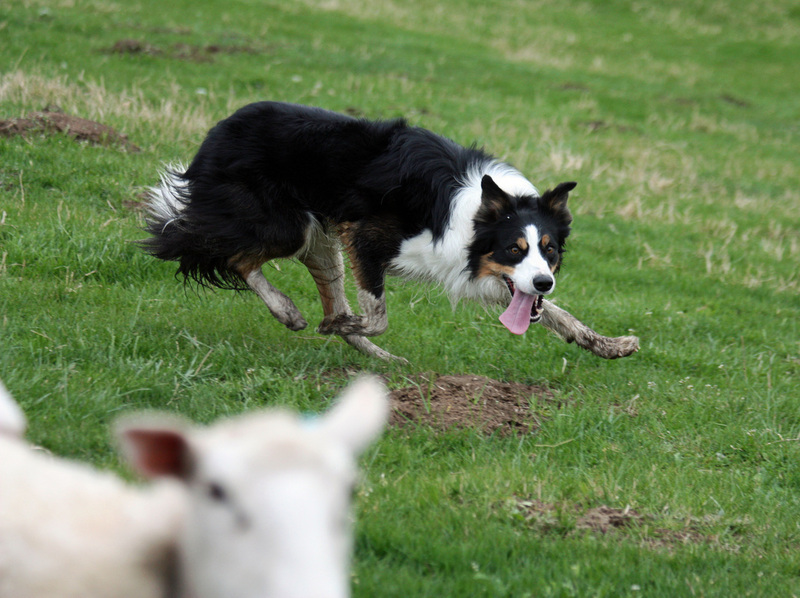 When Erica's offer came up, we felt it was only fair to give Moss the opportunity to do what he loves every day instead of occasionally. Although we miss him every day, we are looking forward to seeing how Erica and Moss do on the trial field in the years to come and take comfort in the fact that he is a beloved member of Erica's family. 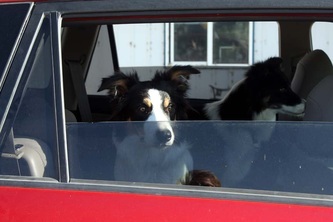 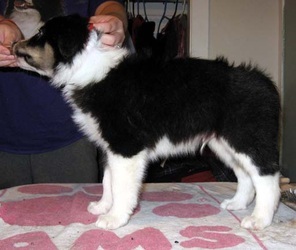 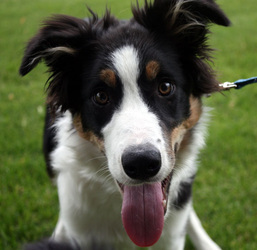 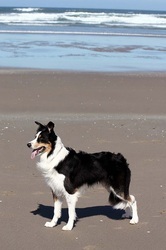 "Moss" is our youngest Border Collie. He was bred by Dianne Deal, and is sired by her/Patrick Shannahan's Riggs (2010 USBCHA Finals Open Champion, 2005 USBCHA Finals Reserve Nursery Champion, multiple Open trial winner) and out of Red Top Peg. 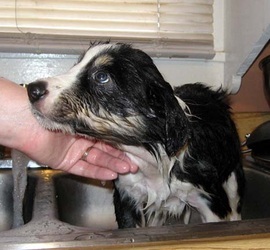 Moss has several littermates and full siblings competing in both USBCHA and AKC events with great success. 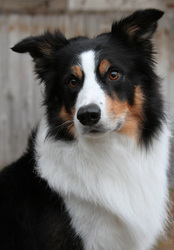 His litter brother, Red Top Toss, recently qualified for the 2011 USBCHA Nursery Finals in one weekend! 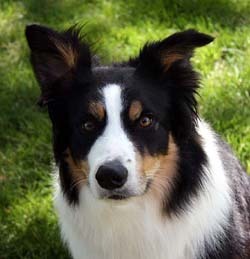 His full sibling, OTCH HC Redtop Sidekick UD GO TD HIBs HXAs NA was the winner of the 2009 BCSA Janet Larsen Versatility award and recently competed in obedience for Team USA at Crufts in March 2011. 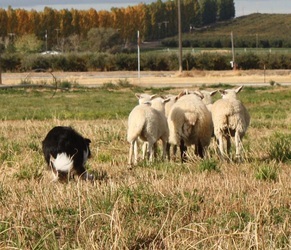 Moss is already showing great promise on sheep. 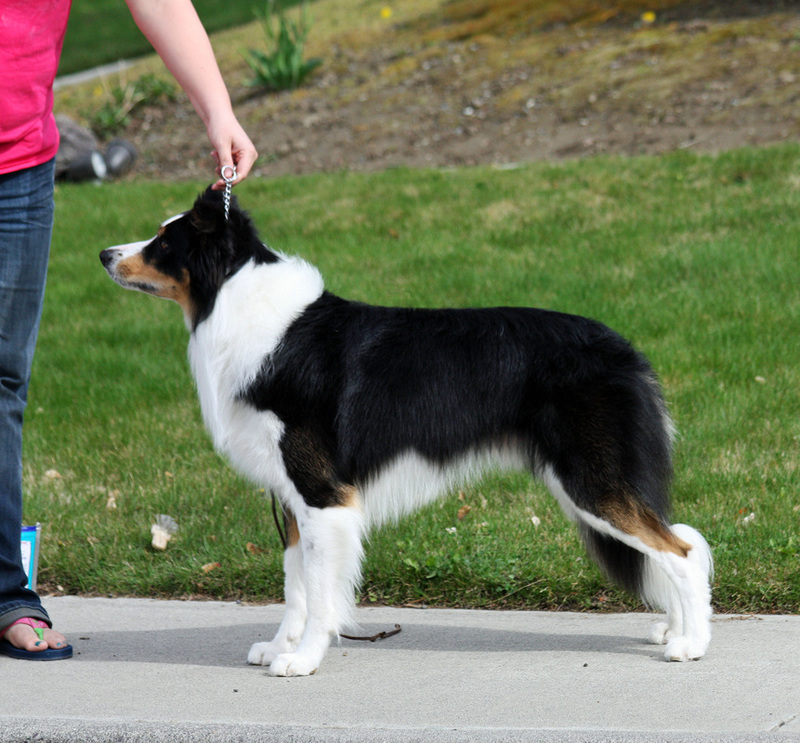 He is a natural driver, holds lines well, has naturally square flanks, and is extremely biddable and responsive to his handler. 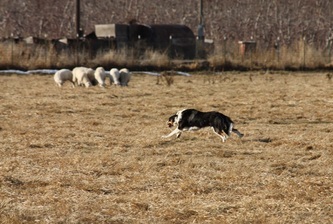 Moss has a nice balance of power and tractability; the sheep respect him, but are not afraid of him. 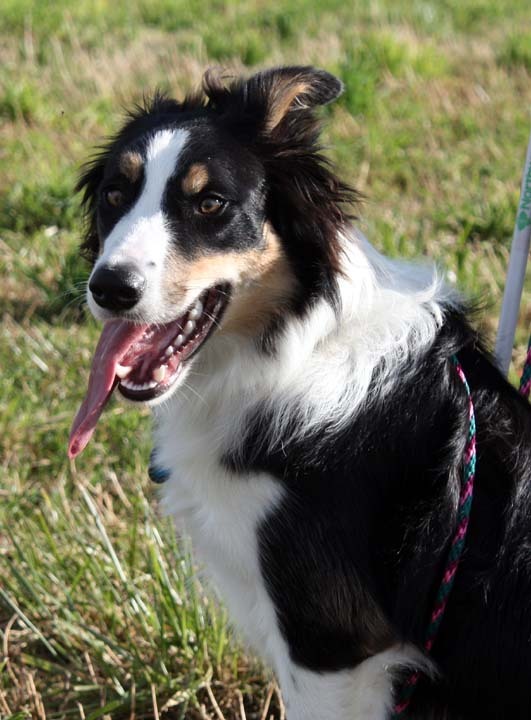 Moss and I have already competed in several USBCHA Novice trials, placing consistently near the top. 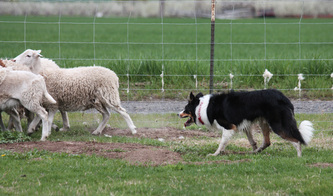 We have also competed on one USBCHA-sanctioned Nursery trial, which showed me how much more training we both need! 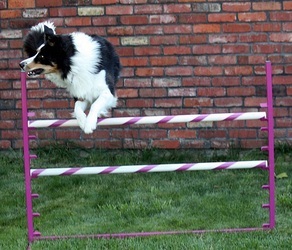 <g> I hope to find the time this year to train enough to move beyond novice and make the jump to competing successfully in Pro-Novice. 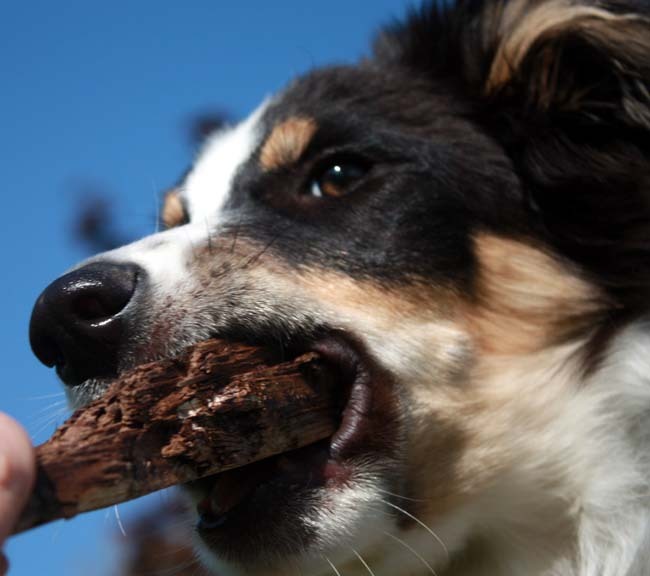 Moss certainly has the talent and biddability to do so. 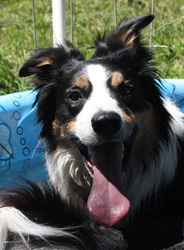 Moss is a very sweet boy with a wonderful temperament and great sense of humor. 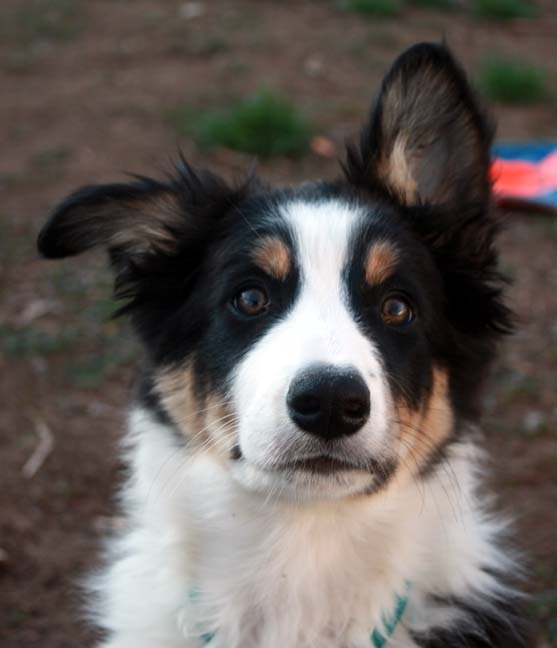 Life is never dull when he's around! Moss easily passed his Canine Good Citizen on March 7th, 2012.